We’re happy to welcome an important new government agency to the Absorb LMS family. The U.S. Department of Defense Security Cooperation Agency has selected Wedgewood Consulting and Absorb LMS as training partners. 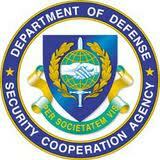 The U.S. Department of Defense Security Cooperation (DSCA) is the central agency that synchronizes global security cooperation programs, funding and efforts across OSD, Joint Staff, State Department, COCOMS, the services and U.S. Industry. DSCA is responsible for the effective policy, processes, training, and financial management necessary to execute security cooperation within the Department of Defence (DoD). Wedgewood Group specializes in helping organizations properly engage and focus their workforce around meeting its top priorities.